Mr. Algie has an extensive and diverse career primarily handling civil litigation in State and Federal courts located all throughout the Commonwealth of Kentucky and the State of Ohio. 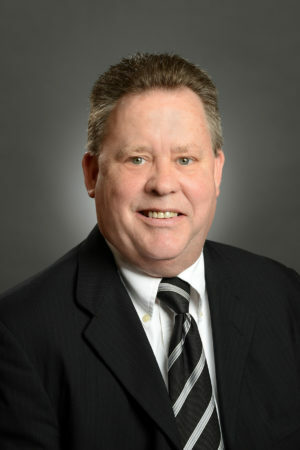 His practice has been devoted to representing financial institutions and businesses in contract disputes, lender liability claims, bankruptcy, reorganization, property disputes, fraud, truth –in-lending litigation and complex business disputes. Mr. Algie has extensive trial experience from both the Plaintiff and Defendants perspective including jury and bench trials in state and federal court, motion practice, as well as alternative dispute resolution through mediation and arbitration. Mr. Algie has successfully handled all aspects of bankruptcy proceedings for both consumer and commercial transactions and has a unique ability to analyze complex information and to develop creative solutions to obtain the desired result. Prior to joining Reisenfeld, Mr. Algie was a Member of a prestigious law firm located in Northern Kentucky and joined our team to focus his skills on Creditor’s Rights litigation and to better serve the financial services industry. He has been privileged to represent a number of the largest financial institutions in the Greater Cincinnati area and looks forward to fostering and developing those relationships well into the future. Ohio State Bar Association, Kentucky Bar Association, Northern Kentucky Bar Association, Cincinnati Bar Association, National Bankruptcy Institute. Commonwealth of Kentucky; State of Ohio; U.S. District Court for the Northern District and Southern District of Ohio; U.S. District Court for the Western District and Eastern District of Kentucky; U.S. Bankruptcy Court for the Eastern District and Western District of Kentucky; U.S. Bankruptcy Court for the Northern District and Southern District of Ohio.